Cut the onions into thin slices and fry in hot oil for about 10 minutes. Sprinkle onions sugar and deglaze with balsamic vinegar. Add 2 teaspoon of Moringa powder and bring to a boil until the onions are tender and soft (about 5 minutes). Mix one part of caramelized onions with the ground beef, egg and a teaspoon of Moringa powder. Season with salt and pepper to taste. Mix everything evenly. 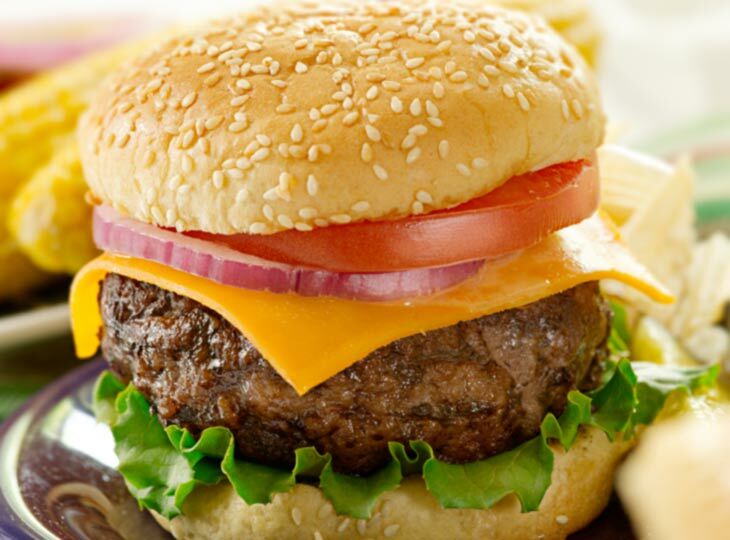 Then form your burgers (1-2 cm thick) and cook them in oil, turning them so that they are cooked on both sides. Open your buns (by cutting them in the middle, if they are not already off). . Spread the bottom with mustard and ketchup part, then cover with a sheet of iceberg lettuce and a few tomato slices. Now add the hamburger and cover with remaining onions and close the sandwich. You always can eat it with the salad or frites.